The reappearance of the black and white light pillar and the new wave of devastation that came with it stunned just about everyone in the Stoneclaw Mountains had once more stunned everyone in the Stoneclaw Mountains. For a moment, they had forgotten to fight as they turned to watch pillar of light. In the face of this horrific power, the prowess of tens of thousands of players was a joke. Complete annihilation could happen at any minute. Although the energy pulse had killed was only over a thousand players, a deep fear of the weapon had seeped into their bones. n.o.body wanted to be on the receiving end of that attack, disintegrating into dust. Suddenly, everyone, players from the Star Alliance and various Guilds alike, feared Zero Wing. They were deeply afraid that Zero Wing would launch another such attack. After the energy pulse first appeared, they consoled themselves that it was impossible to use such an attack twice. However, that consolation vanished after the second energy pulse. Players would lose one Level when they died. However, losing a Level in the 30s would require several days to recover. At the thought of losing their lives to a single attack, the Star Alliance and its allies began to move cautiously. The various troops reined in their bloodl.u.s.t. After all, if they attracted too much attention, Armageddon could come knocking on their doors next. In contrast, Ouroboros and Zero Wing's morale flourished, the members of both Guilds pa.s.sionately launching their counterattacks. One side held back with caution, while the other side forged on with guns blazing. The battle's outcome was obvious. "d.a.m.n it! Just where did Black Flame get that thing?!" Galaxy Past scowled. That energy pulse attack was simply too much of a threat to the Star Alliance. If they did not deal with it quickly, they would certainly lose this war. Losing this war would be a fatal blow to the Guild. The loss of EXP and equipment was a secondary concern. Most importantly, the Star Alliance's prestige as a first-rate Guild would vanish. Not only had the Star Alliance challenged an upstart Guild like Zero Wing, but it even lost miserably. In the future, how was the Alliance supposed to compete with Ouroboros in Star-Moon City? Meanwhile, if Zero Wing won this war, not only would it gain more prestige, but the Guild would also see a flood of players trying to join, which, in turn, would allow the Guild's strength to grow. Just how was the Star Alliance supposed to capture Stone Forest Town? "Red Feather, lead the main army and annihilate Black Flame! We cannot allow him to fire that thing again!" After considering his options, Galaxy Past did not believe that they could allow Zero Wing to occupy that mountain any longer. With the mountain's vantage point, Zero Wing could fire that energy pulse anywhere on the battlefield they wanted. If they could evict Zero Wing quickly, then the threat of ma.s.s destruction would lessen. Hence, it was imperative that they remove Zero Wing from the mountain. As for Zero Wing's elite army, it was no longer important. "Rest a.s.sured, Guild Leader. I'll lead a unit to annihilate Black Flame." Red Feather understood the importance of his task. Moreover, this was the perfect chance to avenge the humiliation he had previously suffered. He had only sent his subordinates to deal with Black Flame during the battle in White River City, yet, in the end, not one of the six subordinates he sent had returned alive. This time, he intended to deal with Star-Moon Kingdom's number one expert personally. "Brother Glorious, I'll have to trouble you to inform the Flower of Seven Sins. Hopefully, they can act as soon as possible. This way, we'll be able to end this battle a little sooner, rather than continuing to waste resources." As insurance, Galaxy Past still decided to deploy the Flower of Seven Sins. Exemplary Willow had intended to force Black Flame to taste despair. Hence, she had ordered them to wipe out Zero Wing's elites before hunting Black Flame and Zero Wing's upper echelons. However, that plan was no longer viable. That energy pulse was simply too much of a threat. Meanwhile, Zero Wing's main force had occupied a location that was easy to hold but difficult to attack. With the combat power of Zero Wing's main force, although Red Feather led many elite members, they could not exert their maximum power. No one was certain that they could chase Black Flame and his team off that mountain. If the battle dragged on and Zero Wing was allowed to fire that energy pulse a few more times, it could turn the tide of this war. Hence, for safety's sake, it would be more efficient for the Flower of Seven Sins' a.s.sa.s.sins to take action. If the Flower of Seven Sins could take down Zero Wing's upper echelons quickly, they could deal a ma.s.sive blow to both Zero Wing and Ouroboros. The Star Alliance could regain its lost momentum in full. It would be much easier to annihilate the remaining elite members of the two Guilds. "I'll notify them right away," Glorious Echo replied. He, too, realized the severity of the situation. His previous carefree expression had vanished. The war that had clearly been in their favor had suddenly taken a 180-degree turn. If they idled, this war would lose all meaning, even if they killed Zero Wing's upper echelons. Exemplary Willow wanted an overwhelming victory in addition to Black Flame's despair. If he told Exemplary Willow that they had won a Pyrrhic victory, the woman might even skin him alive. "Finally want us to join the fray?" a silver-robed man asked. This middle-aged man carried a black spear on his back and chuckled when he received Glorious Echo's call. "Yes. I hope you can finish the job as soon as possible." Glorious Echo nodded. "Relax. As long as we make a move, Black Flame's time in this world will be limited," the silver-robed man laughed. He then disconnected the call and looked to the others, saying, "Let's begin. Don't forget your targets. You are only allowed to attack someone else after your target is dead." Although they were all extremely powerful, top-tier experts, when dealing with this silver-robed man, they could not help but shiver as they nodded their heads respectfully. The Flower of Seven Sins was an organization where strength meant everything. The silver-robed man was stronger than every one of them. Hence, he had full command of this operation. Just as the Flower of Seven Sins' a.s.sa.s.sins made their way towards Shi Feng's peak, the Secret Pavilion's members, who had watched from afar, began to move. "I had not expected Zero Wing to obtain such a strategic tool. It's no wonder why it grew from an upstart Guild to its present power. If not for the Flower of Seven Sins, Zero Wing might really win this war." Yuan Tiexin shuddered when he recalled the prior devastation. If Zero Wing could obtain several more tools, who could possibly stand up to it in the future? However, this event had reminded him of one thing. Wars in G.o.d's Domain were not won just by relying on elite and expert players. Such strategic tools were similarly very important. While the Star Alliance mobilized a unit, approaching Shi Feng's position, Shi Feng used this time to fire the Mana Pulse Cannon a few more times, annihilating thousands of the Star Alliance's members. The Star Alliance's expert team, which faced the Dark G.o.ds Legion, also received a shot. The energy pulse had instantly disintegrated close to half of the expert team, alleviating the pressure on the Dark G.o.ds Legion. This situation had nearly caused the upper echelons of the Star Alliance and the various other Guilds to faint. "Guild Leader, as expected, they're approaching. Should we have the nearby elite legion head our way and a.s.sist us? That way, we'll have an easier time holding this area," Fire Dance asked Shi Feng as she watched the elite army gather at the foot of the mountain. With only Zero Wing's main force, it would be extremely difficult to secure this location. "No need. Having more people will only hinder us." Shi Feng waved his hand. He then took out the Bible of Darkness and the Tier 3 Magic Amplification Scroll from his bag, smiling faintly. Pyrrhic victory: a victory that inflicts such a devastating toll on the victor that it is tantamount to defeat. Someone who wins a Pyrrhic victory has also taken a heavy toll that negates any true sense of achievement. 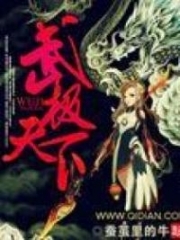 You're Read Reincarnation Of The Strongest Sword God Chapter 738 online at NovelOnlineFull.com. You can use the follow function to bookmark your favorite novel ( Only for registered users ). If you find any errors ( can't read,broken links, can't load photos, etc.. ), Please let us know so we can fix it as soon as possible. And when you start a conversation or debate about a certain topic with other people, please do not offend them just because you don't like their opinions. You're reading Reincarnation Of The Strongest Sword God. This manga has been translated by Updating. Author(s): Lucky Cat. Already has 1868 views. Current Time is 19-Apr-2019 00:55:15 AM.